Consistent texture; thick, creamy and rich mayonnaise. 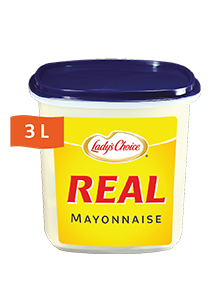 A mayonnaise that delivers a delicious balanced taste, with the right creamy texture and consistency. • Best binding and coating properties without soggy effect. • Perfect for hot and warm applications.